Lines Fiction: you’ve got a special style in your work, you generate the whole drawing from one single line at a stretch. 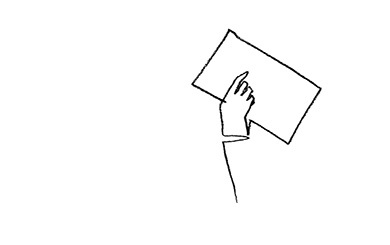 Your new series of drawings im Zweifel (in doubt) is presented together with the animation Ohne meinen Anwalt (without my lawyer) that are portraits in motion of people on trial. How did you develop your style, and what is the reason for your recent series? Petra Lottje: I started to draw one line at a stretch during my studies, exploring “l’écriture automatique”, so called automatic writing. At that time I wrote a whole series of texts without punctuation marks and capital letters, and I made drawings with one continous line. Since then, it became my favorite style, bearing the potential of surprise for me while working on a drawing. At the moment of drawing, I don’t reflect on it, I don’t have time to think. Therefore I make a lot of sketches, of which, in my view, only a few are good enough to leave my studio. The process towards a satisfactory outcome takes a long time – resulting in a drawing that possibly needed few seconds to be done. In my work, I draw a continous line with the pen, or currently with charcoal, defining space and figures from one single line, leaving out everything not needed for a certain expression. The criminal court in Berlin Moabit is a special location. People behave peculiar in this building…furthermore, we take a different look at the people in court, for everybody here is involved with crime. I don’t make sketches on site. All these impressions sink in during an undefined length of time, sometimes days, sometimes weeks, only then I start with my drawings. And then a process begins, taking hours and days at a stretch. One sheet of paper after the other – until I realize: This one! 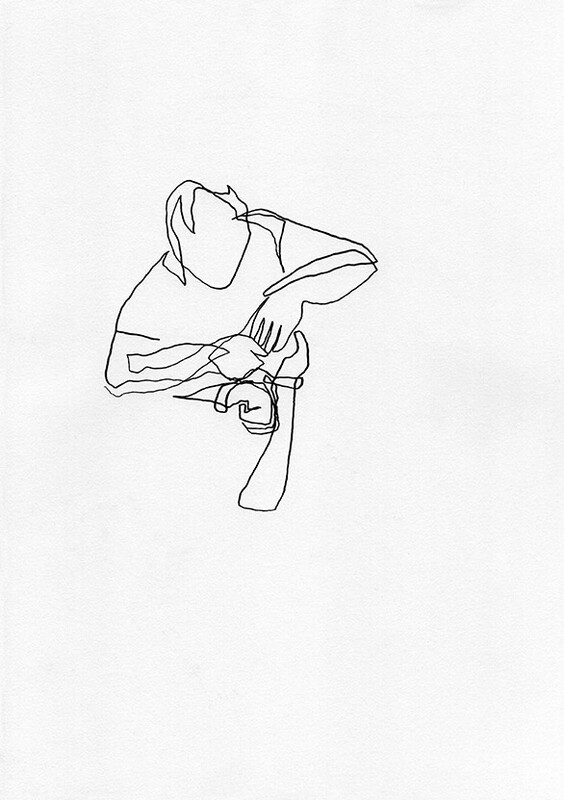 …This drawing matches the the situation I bear in mind. Only afterwards I begin with drawing the next situation. Faces, precise conclusions about the depicted persons were not important for the series of drawings im Zweifel (in doubt). That’s different from the portraits in the animation Ohne meinen Anwalt…(without my lawyer…). Parallel to the series I put them down on paper, and animated the sketches afterwards. 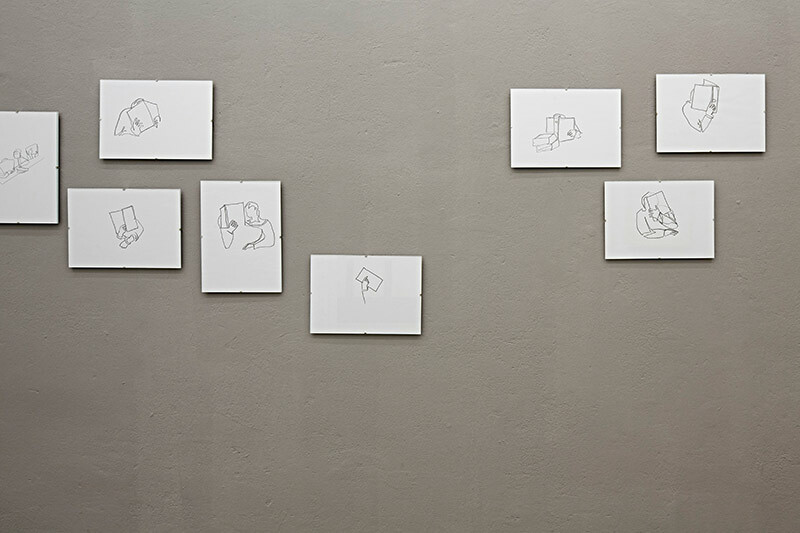 In the animation the the viewer recognizes an emotion or assumes to see a familiar face… the “faceless” drawings in the series become distinct in the animation. On the other hand, the animation points out that it could be you and me, confronted with the criminal court. The animated portraits move in minimal shades, with a curious effect. Face after face in constant motion. Lines Fiction: in your work, you deal with crucial experiences not only in court. 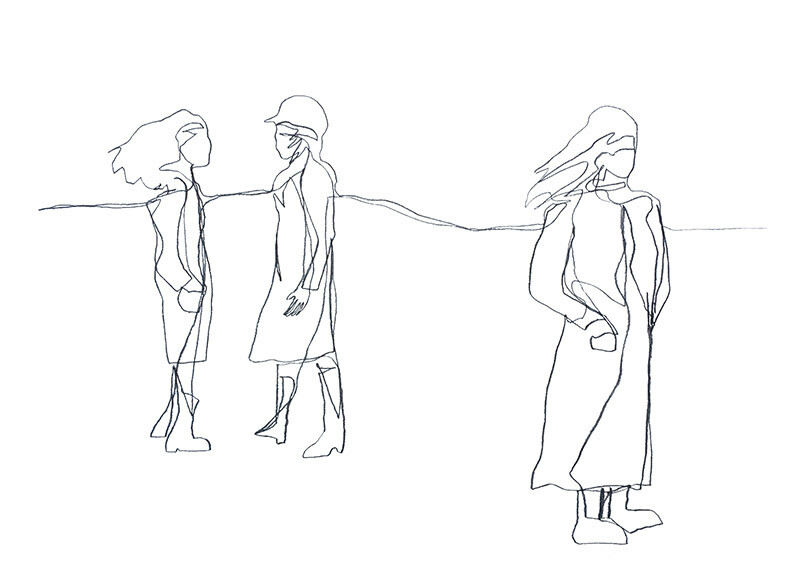 In the drawing Schwestern (sisters) some fine lines run from one figure to the next, and the corresponding animation Resilienz 1 (Resilience 1) looks like a snapshot. Nothing is moving exept the three womens’ hair, and autumn leaves around them. Resilience is a psychological term, meaning something like resistence against distress, right? 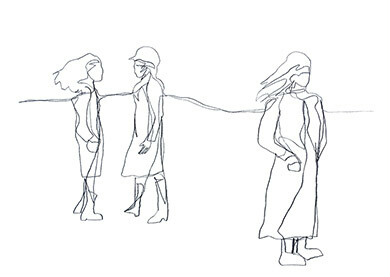 Petra Lottje: The drawing Schwestern (sisters) is limited to essential elements, three sisters, connected in-line. 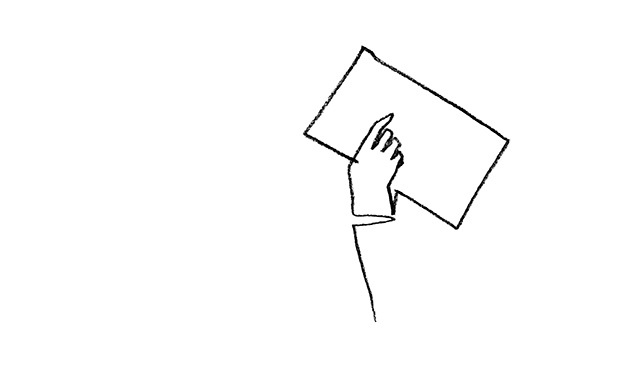 As you said: the corresponding animation is a snapshot, and a portrait in motion at the same time. Similar to the portraits in Ohne meinen Anwalt (without my lawyer). There is no line of action, no storyline to help out. The timing and the loop are psychologically important while watching the clip. I believe that everybody is able to relate to this: you vividly remember a certain situation in your life, a special moment, without a sequence, but emotionally very stirring. It then has to do with resilience, the ability to bear some negative moments with stamina. Resilience is the title for a multi-part work. It’s a statement or an assumption – as the case may be. A few animations, in a similar manner, already exist. They show situations, no stories. More like layers of moments. When I will be ready to present the series as a whole, I don’t know yet. Everything is still in the making. 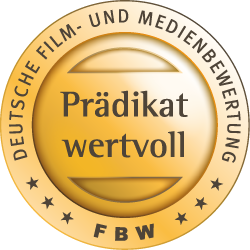 Lines Fiction: these short clips work like sketches, while your award-winning animation mir fehlt nichts (I don’t miss anything) is a multifarious elaborated narration. This movie works solely with image and sound – no dialogue – to report a traumatic family story spanning three generations. For this task you worked in a team ? Petra Lottje: When I realized that I’m about to tell the story of mir fehlt nichts (I don’t miss anything), I soon found out that I couldn’t continue without a team. Until now, this movie is the most complexe animation project in my work. I got support in working with different computer programs, in working with Wacom, music and sound. For some scenes I needed an actor, cinematographer, lighting technician, digitization of the newsreel and so on. By all means, I considered it essential to draw every line by myself. Only the background painting of the first rural scene is made by someone else, but some elements were important to me in any case. I wanted to understand everything that was done, I wanted to check everything again and again, and strike a very fine balance, and duly consider, what I wanted to show, and how I wanted to show it. Despite the support of a team, it was a lot of intense work left for me on my own. Actually, for about two years I didn’t do anything but to work odd jobs, and to implement mir fehlt nichts (I don’t miss anything). It’s such a touchy subject that utmost prudence was required with every scene, nothing was left to chance. I wanted to make a movie that tells a true story in a modified, condensed form. Again, the characters have no faces, like in most of my drawings. They even have no voice, they are possibly interchangeable, not determined. The characters in mir fehlt nichts (I don’t miss anything) are simplified, but not drawn from one line at a stretch. When I was ready with the character design, I decided for another style in the moving images. 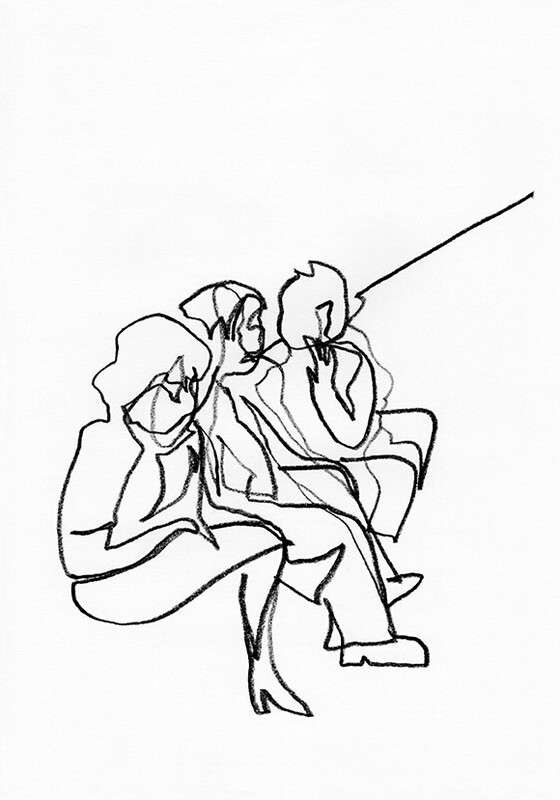 But my first sketches for the animation still were drawn from one single line, I now consider them as material for the film, and keep them in my studio.